Velayudhan and Ors. Vs. Mohammedkutty and Ors. Abhay Manohar Sapre, J. 1) This appeal is filed by the defendants against the final judgment and order dated 08.03.2006 passed by the High Court of Kerala in S.A. No.180 & 475/1992 whereby the High Court allowed the second appeals filed by the plaintiffs-respondents herein and set aside the judgment and decree dated 26.07.1991 of the Subordinate Judge, Tirur in A.S. Nos. 83 & 84 of 1988 and restored the judgment dated 30.09.1988 of the Munsif of Parappanangadi in O.S. No. 177 of 1983. 2) We need not burden our judgment by mentioning the facts in detail except to the extent necessary to appreciate the issue involved in the appeal. 3) The appellants herein are the defendants whereas the respondents are the plaintiffs in a suit out of which this appeal arises. 4) The respondents filed a civil suit in relation to the suit land as described in detail in schedule to the plaint against the appellants before the Munsif of Parappanangadi. The Munsif Court decreed the respondents’ suit against the appellants and passed the decree as prayed by the plaintiffs. 5) The defendants, felt aggrieved, filed the first appeals before the Subordinate Judge Tirur. 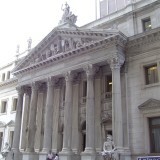 The first appellate Court allowed the appeals and dismissed the suit. The respondents, felt aggrieved, filed Second Appeals under Section 100 of Code of Civil Procedure, 1908 (hereinafter referred to as “the Code”). The High Court admitted the appeals on the following two substantial questions of law: “1. The suit being one for perpetual injunction, whether investigation into the question of title was necessary or called for? 6) By impugned order, the High Court allowed the appeals and while reversing the judgment and decree of the first appellate Court restored that of the Trial Court, which had decreed the respondents’ suit. It is against this order of the High Court, the defendants felt aggrieved and filed this appeal by way of special leave before this Court. 7) Heard Mr. M.K.S. Menon, learned counsel for the appellants and Mr. K. Rajeev, learned counsel for the respondents. 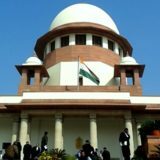 8) Having heard learned counsel for the parties and on perusal of the record of the case, we are inclined to allow the appeal in part and while setting aside of the impugned order consider it just and proper and in the interest of all parties concerned to remand the case to the High Court for deciding the plaintiffs’ Second Appeals afresh on merits by reframing the fresh substantial questions of law. 9) In our considered opinion, the need to remand the case to the High Court for deciding the Second Appeals afresh has arisen because we find that the High Court proceeded on the assumption that the Civil Suit filed by the respondents out of which this appeal arises is essentially for grant of permanent injunction simpliciter. It would be clear from the first substantial question of law framed by the High Court quoted supra. 10) One of the questions, which fell for consideration before the first and second appellate Court was regarding the nature of the Suit filed by the respondents and the reliefs claimed therein. 11) Was it a suit for grant of permanent injunction simpliciter or a suit to seek a declaration of title with consequential relief of grant of permanent injunction in relation to the suit land? 12) On perusal of the plaint, we find that the plaintiffs asked for the following reliefs: “A. Issue an order of injunction preventing defendants or their men from entering into or taking any usufructs from the plaint schedule property or from doing anything detrimental to the title and possession of the plaintiffs. B. Direct the defendants to pay all costs in the suit. 13) Reading the expression "or from doing anything detrimental to the title and possession of the plaintiffs" in prayer clause A quoted above would show that the plaintiffs have also expressed apprehension in relation to their title over the suit properties. 14) Keeping in view the averments made in Para 1 of the plaint read with aforementioned words of the prayer clause, we are of the view that it cannot be said that the Suit is only for grant of permanent injunction simpliciter. In other words, the issue of title having surfaced in the relief clause, the same is of some significance over the rights of the parties while considering the grant of the reliefs. 15) In our considered opinion, the reading of the plaint as a whole in the context of the reliefs claimed therein would go to show that the issue of title is not wholly foreign to the controversy and is relevant while considering the grant of permanent injunction. 16) It is true that the relief clause in the plaint is not happily worded but, as observed supra, reading the plaint as a whole along with relief clause does support our observations. 17) Since the High Court proceeded to decide the appeals in the light of first substantial question of law and hence it committed an error. The first error was in framing the wrong question and the second was in proceeding to examine the said question. 18) The issue, in our view, was required to be examined by the High Court keeping in view the law laid down by this Court in the case of Anathula Sudhakar vs. P. Buchi Reddy(Dead) by L.Rs. & Ors., 2008(4) SCC 594. It was, however, not done. 19) It is due to the aforesaid reasons, we are of the view that matter needs a fresh look by the High Court on the questions which arise in the case. 20) In the light of foregoing discussion, we allow the appeal in part, set aside the impugned judgment and remand the case to the High Court to decide the appeal afresh after reframing the proper substantial questions of law keeping in view the pleadings and the findings of the two Courts below as required under Section 100 of the Code. 21) Since the appeal is quite old, we request the High Court to decide the appeal expeditiously. Tags: CIVIL APPEAL No.5459 OF 2007Mohammedkutty and Ors.R.K. AGRAWAL ABHAY MANOHAR SAPREVelayudhan and Ors.